Check out Matt Driscoll's column about Mason Avenue Apartments in The News Tribune! Tacoma, WA. More than 100 low-income Tacoma families are moving into the new Mason Avenue Apartments in time for the holidays. The Washington State Housing Finance Commission (WSHFC) Low Income Housing Tax Credit (LIHTC) program allows Mason Avenue Apartments to lease homes below fair-market rates to residents who make 50 percent of the area median income (AMI) or less. The community celebrates its grand opening Jan. 13, 2016. When the Mason Avenue Apartments office opened, the line stretched out the door into the parking lot. "We had to pass out numbers," said Melissa Alamillo, Assistant Director at Cambridge Management, Inc. "A crowd would pour in and we wouldn't know who was there first." According to the 2015 Washington State Housing Needs Assessment, there is one affordable apartment for every 10 Pierce County households that make less than 30 percent of the AMI. Families with three or more members face added challenges, since most units are for smaller households. To help address the Tacoma housing need, The Tacoma Community Redevelopment Authority (TCRA) granted Tacoma-based development partners, Trillium Housing Services and MacDonald Ladd Developments, a $300,000 loan for the Mason Avenue Apartments. Boston Financial Investment LIHTC equity and Bank of the West Construction and Term Loans provided additional funding. 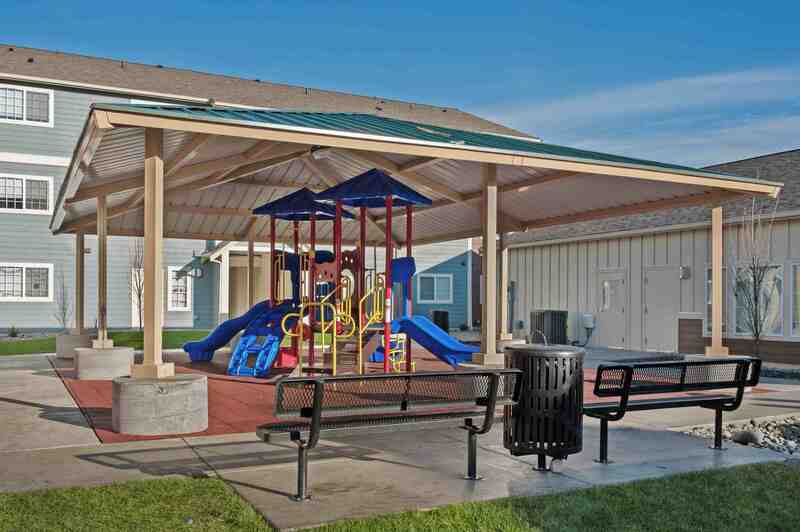 This funding allows Mason Avenue to provide one, two and three-bedroom homes to low-income families in Tacoma. Half of the homes in the 105-unit community are designed to be affordable for households earning 50 percent of the AMI or less. The remaining are reserved for households making 30 percent of the AMI or less. Mason Avenue residents pay $815 per month for three-bedroom apartments, while fair-market rent is $1,354. Elizabeth Sierra, Christian Contreras and their one-year-old daughter Zara lived in a friend's car for a month-and-a-half before moving to Mason Avenue. "Living in the car made me feel like the worst person ever, like the worst mom ever," Sierra said. "I couldn't even keep my child in one place." Contreras, 18, worked at Burger King while Sierra, 21, went to Willie Stewart Academy in Tacoma to finish high school. "It was really hard to go to school," Sierra said. "I was so tired." In mid-September, Sierra and Contreras visited Catholic Community Services Family Housing Network and heard about the Mason Avenue Apartments. They went straight to the Mason Avenue office and began paperwork. Sierra and Contreras moved in on Oct. 20. "It was exciting," Sierra said. "I was so happy, I was jumping." Sierra decorated her new home right away. "My daughter loves bears," she said. "So I put up a mama bear, papa bear and baby bear." Sierra said her favorite part of her apartment is having her own kitchen. 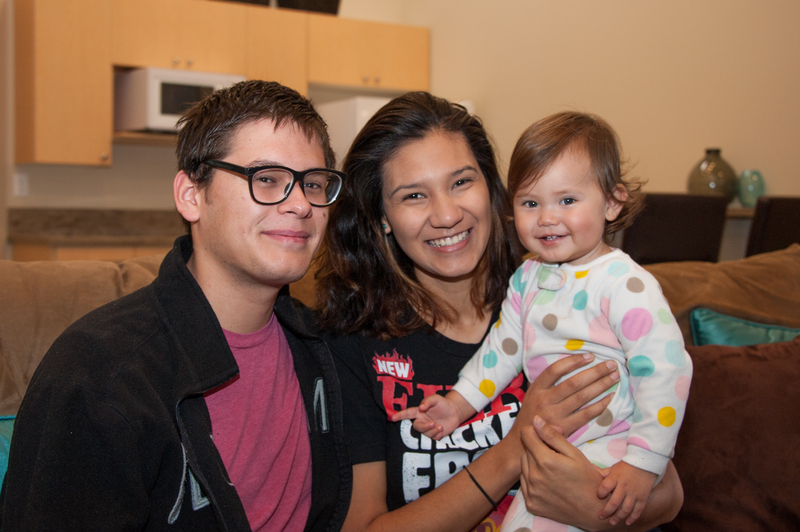 Sierra, Contreras and approximately 300 others are settling into the Mason Avenue Apartments in time for the holidays. "I am the all-time decorator. I'm planning to put Christmas lights all over the house," Sierra said. "Just make it festive." Sierra has one class left to finish her program at the Willie Stewart Academy. Mason Avenue residents and guests will celebrate its grand opening with a ribbon cutting and community tours on Jan. 13 at 3 p.m.